As the number of UK festivals shows no sign of decreasing, it can be difficult choosing which ones to actually attend. Maybe it's best to make room for something fresh. Running across a summer weekend (Sat 30 Jun and Sun 1 Jul), the brand new Fiesta x FOLD festival will take over Kelvingrove Park to deliver a scorching mix of funk, soul and disco, alongside a healthy array of electronic artists and the strongest female-led bill of this year's festival season. Welcoming under-18s and offering day, weekend and VIP tickets, the event seeks to be a party-hard but family-friendly affair, bolstering its impressive lineup with contemporary and established names, and keeping things cool with cocktail bars and a pop-up restaurant, catering for vegans and meat-lovers alike. With much of the lineup curated by Nile Rodgers, there's plenty to look forward to. Chic and Nile Rodgers will be treating fans past and present to a performance on both festival days. Kelvingrove is transformed into a Boogie Wonderland on Saturday, as legendary Chicago stars Earth, Wind & Fire take their multifaceted back catalogue to the headliner's stage with a ten-piece band, fronted by original members Philip Bailey, Verdine White and Ralph Johnson. On the same day, they'll be joined by pop-tastic American R&B outfit Pointer Sisters and blissed-out party craft masters, the Craig Charles Funk & Soul Club. On the Block Party Stage, acts include Huey Morgan, De La Soul, Keb Darge, DJ Andy Smith (of Portishead), DJ Format, Shaka Loves You, David Barbarossa, Andrew Devine and Swamp Frog. With its female-led bill, Sunday's headliners are a whirlwind of disco, trip hop, electronica and more, featuring Emile Sandé, Laura Mvula, Morcheeba and Scissor Sisters' Ana Matronic. Sandé's brand of multi-platinum, arena-friendly R&B soul is sure to win the swoons of her audience, while Mercury-nominated Laura Mvula's inimitable voice, adorned with atmospheric R&B, jazz and a chamber pop sheen, is set to provide an immersive experience. Riding on the back of last year's seventh studio album, Silver Eye, English electropop duo Goldfrapp will bring a career's worth of euphoric, synth-filled hits to the park, well-complemented by Ana Matronic and her flamboyant disco earworms. With the full lineup still to be announced, Sunday's Block Party stage features acts both local and further afield, including Nicky Siano's Hallelujah Disco, the Reflex, Nightwave, Domenic Cappello Does Disco, Ray Harris, Rebecca Vasmant, Melting Pot and Angles. 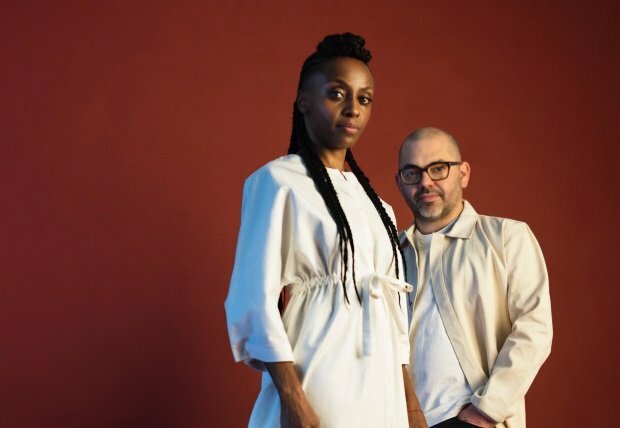 Twenty years and more in the business, London's Morcheeba are festival stalwarts with a barrel-load of irresistible singles to draw from, as well as new material having recently released a single, 'Blaze Away', with Roots Manuva. Known for hits like 'The Sea' and 'Rome Wasn't Built in a Day', as well as iconic albums such as Big Calm, Charango and, more recently, Head Up High, Morcheeba recall their 1990s contemporaries (Massive Attack, Tricky and Portishead) while continuing to reinvigorate their sound with collaborations, a dynamic new album on the horizon and, as they put it, 'the biggest world tour' they've ever done. Keen to play the Kelvingrove venue, not least because 'getting close to nature while rocking out is awesome', Morcheeba, who now comprise original members Skye Edwards and Ross Godfrey, intend to deliver an adventurous set of songs both old and new, from recent single 'Never Undo' to classics like 'Friction' and 'Otherwise'. No strangers to the Scottish gig circuit, Morcheeba are confident their sound delivers the right vibes in venues big and small. One of their first shows in Scotland was at Glasgow's King Tut's, which felt, they admit, 'like we'd invited a bunch of mates around for our gig. It was really cosy and laid back'. They've come a long way since then, finding themselves handpicked for the Sunday lineup by Nile Rodgers himself, who they met recently backstage at Australia's Byron Bay Bluesfest. The band were surprised and delighted to find Rodgers already knew who they were and wanted to include them on his female-led bill, which indicates a move 'in the right direction' for more balanced lineups. With artists of this calibre plucked from busy summer schedules to play, Fiesta x FOLD is set to be, Scottish weather withstanding, a sizzling treat. Departing from the usual fast-food fare, the organisers have enlisted MasterChef winner Gary Maclean and Garry Gill of A'Challtainn's seafood to provide a unique pop-up restaurant on site, catering to culinary tastes as eclectic as the music lineup. Combining passions for both music and food, festival organisers Brian Traynor and Ricky Scoular enthuse, 'we wanted to create something truly special'. Fiesta x FOLD, Kelvingrove Park, Glasgow, Sat 30 Jun & Sun 1 Jul.